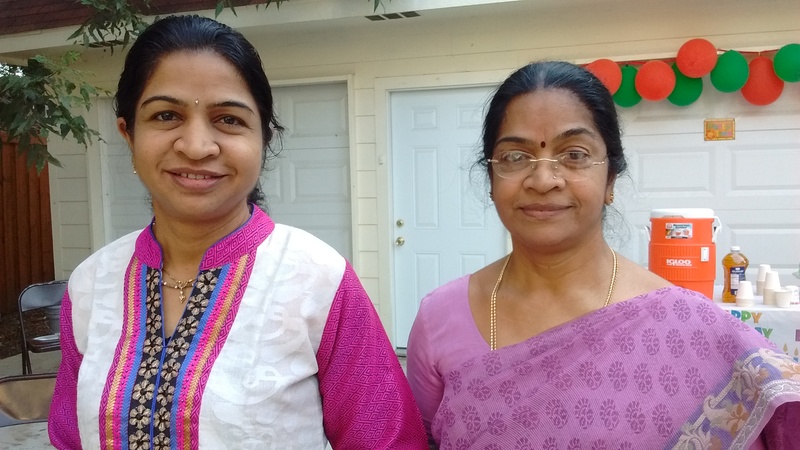 Archana Mataji and her husband, Ananta Gopal Prabhu, joined Sri Sri Radha Kalachandji’s community several years back in order to have both their daughters, Brinda and Chakrika, attend school at TKG Academy. For the second year in a row, Archana Mataji has accepted personal responsibility and ownership of TKG Academy’s Janmastami fundraising booth. During her recent summer visit to India, she has purchased many items to be sold at the booth, with the goal of benefiting the school. Along with her mother, Sarala Mataji, they set up the booth and spent most of their Janmastami evening personally manning it. Her enthusiasm to support the school and her initiatives are inspiring and very much appreciated. I just love the School so much.I really couldn’t find such a wonderful School spiritually & academically all over United States.I appreciate all faculties in the School putting all their efforts for uplifting kids,making them spiritually & academically strong.